Please click here to read the newsletter if it is not displayed properly below. Click here to subscribe, unsubscribe, or change your address. Keep up with the harvest of cool-season crops, such as peas, lettuces, and spinach to encourage more production. 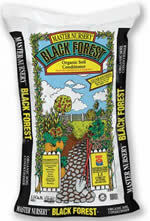 Black Forest Organic Soil Conditioner is a premium soil conditioner for roses, vegetables and lawns. 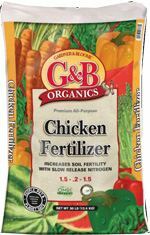 Fortified with iron and nitrogen - but will not deplete soil of pre-existing nitrogen like untreated products. 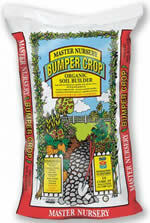 Loosens hard, compacted soils to improve drainage and increase moisture retention. 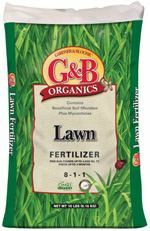 Use as an amendment to improve soil or as a mulch to help keep the soil cool and moist. "I am writing in the garden. To write as one should of a garden one must write not outside it or merely somewhere near it, but in the garden." Deciduous Fruit Trees are Here! New deciduous fruit trees in 5 gal. size and up are 20% off until 02/28/2019. 1. 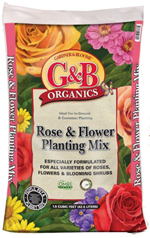 Purchase and plant bare-root roses, trees, vines, berries and vegetables. 2. Choose and plant camellias and azaleas. 4. Purchase and plant cool-season flowers to fill in bare spots. 5. 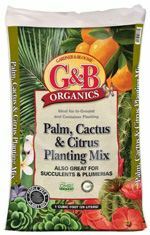 Plant seeds of warm-season flowers for transplants to put out in spring. 6. Continue to plant winter vegetables from transplants and seeds. 7. Many succulents, including cacti, bloom in winter and spring; purchase new types now. 8. Prune deciduous fruit trees. 11. Mow cool-season lawns. Most warm-season lawns are dormant now and don't need mowing. 12. Begin to feed citrus trees in coastal zones. 13. Treat citrus trees for chlorosis. 14. Start feeding epiphyllums for bloom with 0-10-10 or 2-10-10. 15. Continue to fertilize cymbidiums that have not yet bloomed with a high-bloom formula. 19. Water plants according to need (when the rains are not adequate). 21. Remember to water plants under eaves where the rains cannot reach. 22. Dormant spray roses and deciduous fruit trees. 23. Dormant spray sycamore trees. 24. Check citrus trees for pests. 25. Pick up dead camellia blossoms to prevent petal blight. 26. Protect cymbidiums from slugs and snails. 27. Control rust on cool-season lawns. 28. Check trees, shrubs, and ice plants in coastal zones for overwintering whiteflies. Control by spraying. 30. Spray peach and apricot trees for peach leaf curl. 31. Protect tender plants from frost. 32. Stake cymbidium bloom spikes. If you are looking for the perfect flower to bridge the gap between winter and summer, consider the primrose. Like a ray of sunshine on a damp and gloomy day, primroses (primula) provide early spring blooms in almost every color of the rainbow. They prefer cool temperatures and moist, rich, well-draining soil (with lots of compost). Primroses can tolerate full sun in spring but definitely prefer afternoon shade once temperatures get warmer. They can easily be grown indoors during winter, provided that you maintain cool night temperatures in your home (below 65 degrees), filtered sun and moist soil. The most popular types of primroses include English primroses (Primula vulgaris/polyanthus), Fairy primroses (Primula malacoides) and German primroses (Primula obconica). All are heavy bloomers and well suited for garden planting or in containers. Originally from England, most English primroses now are grown along the Pacific Coast. They produce large clusters of flowers above the foliage, with dwarf varieties just a few inches above the foliage and taller hybrids growing up to one foot above the foliage. They are available in almost every color shade. German primroses are often called perennial primroses, since they can often come back to re-bloom the following season. They have larger rounded leaves, and grow up to 12 inches high, with taller flower stalks. The flowers come mostly in shades of red, rose and salmon. Fairy primroses have a more delicate look, with smaller leaves and flower clusters on 6-12" stalks above the foliage. They generally are available in color shades of pink, lavender and white. So if the winter blues are getting you down, chase them away with some perfect primroses! Outside of the easily-identified blueberries and strawberries, the world of berries can be very confusing. You have blackberries, black raspberries, red raspberries, and yellow raspberries. And don't forget boysenberries, loganberries and marionberries, which are all closely related. How do you tell them apart? Berries whose core stays intact are blackberries. Berries that lose the core and resemble a thimble are raspberries. But then...some berries are a cross between the two! The similarities don't stop there. All bear fruit on two-year-old wood, except for the ever-bearing raspberries that also fruit on first year growth. These are also called two-crop raspberries because they bear a late summer or fall crop on the first year growth and a second crop the following spring on the two-year-old wood. Different types of wood? What's that all about? Ok, it may help clear up a lot of confusion about blackberry and raspberry culture if one remembers that after flowering and fruiting, any cane that bore fruit dies back to the crown. All the new growth will rise out from primary buds just below the soil line. Now here's the good news, blackberries, raspberries and any other favorites will thrive in most locations and soil types, but good drainage is desirable with most varieties. Just give them some room to ramble because they do like to spread out. As far as cold-hardiness goes, raspberries tolerate very cold temperatures better than blackberries. Most berries like being fed at blooming time, with a follow-up feeding in early fall after the plants have finished fruiting. Just use a well-balanced fruit food. They prefer staying moist, and should be watered regularly if rainfall is insufficient. The new canes that grow out each spring will not bear fruit until the following summer when they are two years old. After harvest, the two-year-old fruiting canes will start to die back and should be removed as close to the ground as possible without injuring the new canes. In milder climates like ours, berries can be trained to stakes or trellises in late summer or early fall, after the fruiting canes have been removed. In colder climates, the canes should be left on the ground over winter--making them less likely to be damaged by cold. The ideal time to "spring train" is after the danger of freezing weather and before the leaf buds begin expanding. 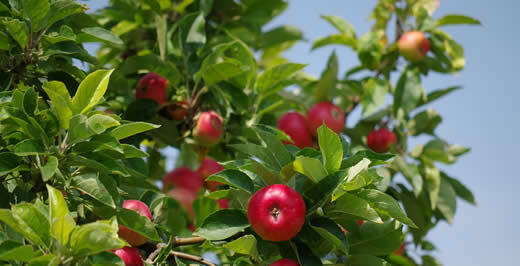 We offer berry plants that grow well in our local area. The bottom line is that all berries are easy to grow and they taste great. So don't stress about all your different choices. Just plant some berries and enjoy! One of the most spectacular winter blooming plants is the Florist's Cineraria (Pericallis x hybrida). What makes these plants so special is that the deep green, slightly lobed leaves of these colorful beauties are often completely covered by immense clusters of velvety daisy-like flowers for their entire growing season. These bright and bushy plants have an amazing kick of contrasting colors. The blossoms may be white, pink, red, blue, purple or violet, with blue or white centers and rings of contrasting colors that create a rainbow of hues for any sunny windowsill. These beautiful plants are native to the Canary Islands off the coast of Portugal. Annuals that can bloom indoors from as early as December to as late as May. If they are still blooming during a warm spell, you can put them outside--they are great for attracting butterflies! Few plants can beat these beauties for color while they are doing their thing. Cinerarias do best in a bright room or sunny windowsill. They are fairly thirsty plants, due to the large volume of flowers they produce, and like to be kept moist (but not wet) at all times. They need only occasional feeding while in bloom, with a water soluble plant food. So, if you need a little help shaking off the doldrums of winter, consider purchasing some cinerarias to brighten up your home today! What does soil pH measure? Soil pH indicates how acid or alkaline a soil is. In technical terms, it is a logarithmic function of the hydrogen ion concentration [H+]: pH = -log [H+]. Got all that? In simpler terms, a pH of 7.0 is neutral. Below that number is acidic, above that number is alkaline. The scale is progressive, too. A pH of 6.0 is ten times more acid than a pH of 7.0; a pH of 5.0 is 100 times more acid than a pH of 7.0, and so on. You can test your soil pH with a simple pH test kit. • To modify or correct acidic soils you need to apply lime. • To modify or correct alkaline soils you need to apply soil sulfur or aluminum sulfate. Most plants prefer soil slightly on the acidic side of 6. 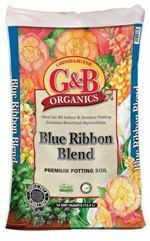 Use a lower pH for acid-loving plants like blueberries, azaleas, and ferns. Over low heat, melt butter; slowly add brown sugar, stirring continuously, and bring to a boil. Remove from heat. Place 1 cup of water in the crock pot, followed by the ham. Pour enough glaze over the top of the ham to coat it completely. Add sweet potatoes and carrots around the sides and on top of the ham, pour remaining glaze over the top of everything. Cover with a lid, place the crock pot on low and cook for 4-5 hours. Then enjoy tender, moist ham with sweet potatoes and glazed carrots--all cooked in one pot!